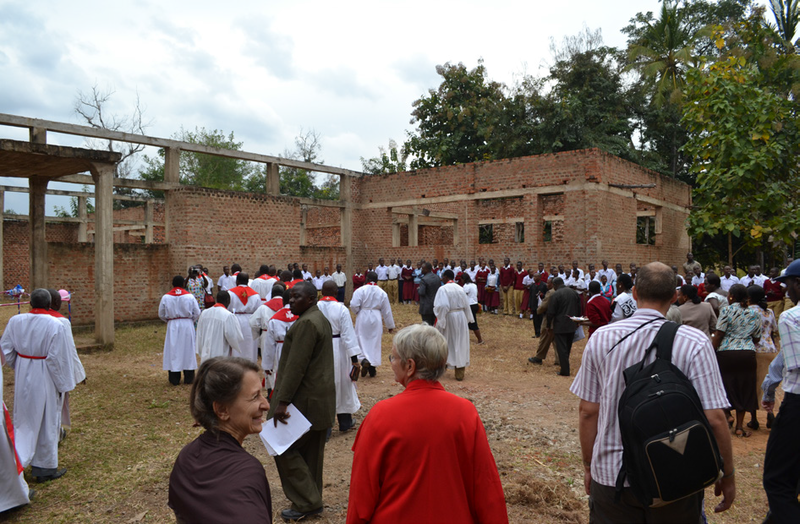 Tumaini Lutheran Seminary is a private, non-profit school, and a ministry of the Ulanga-Kilombero Diocese, our synod’s companion ministry. It was founded in 1996 in response to the call of the government to bring secondary education to every part of the country. The school serves just under 200 students, equally divided between boys and girls, and employs 13 teachers. The first four forms of secondary school are offered and the school trains evangelists to serve in churches throughout this very rural diocese. The school has classrooms, dormitories and a small administration building, but lacks a central gathering place and a dining hall sheltered from the weather. Cooking is done under a crude shed open to dust and flies and is not sanitary. Students eat under trees and must delay meals when it rains. Our goal is to finish this building as the safe and hospitable center of the school.